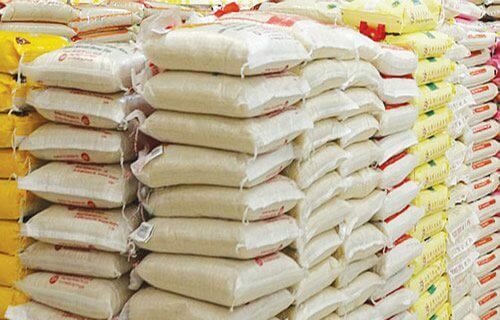 The Federal Government has approved N60 billion in support of its rice subsidy programme. The Minister of Agriculture and Rural Development, Audu Ogbeh revealed this during his briefing with the State House correspondents at the Presidential Villa, Abuja. Ogbeh explained that the Ministry of Agriculture would work in line with the committee for smooth implementation of the rice subsidy programme. The Minister also affirmed that the Bank of Agriculture was undergoing reconstruction and hopefully afterward farmers would be able to buy shares in the bank and maybe bring down the interest rate. “And we hope in the process that it will bring down interest rates reasonably maybe 5 percent or a little higher so that agriculture will become attractive and people can raise capital to invest,’’ he said. The Deputy Chairman of the National Food Security Council and Kebbi State Governor, Alhaji Atiku Bagudu, said that the council may subsidize the price of rice with N5 billion which will enable Nigerians buy rice at a cheaper rate as obtained in 2017. The governor also dismissed the reports by the United States Department of Agriculture (USDA) World Market and Trade which reported that Nigeria has been importing about three million tones rice.